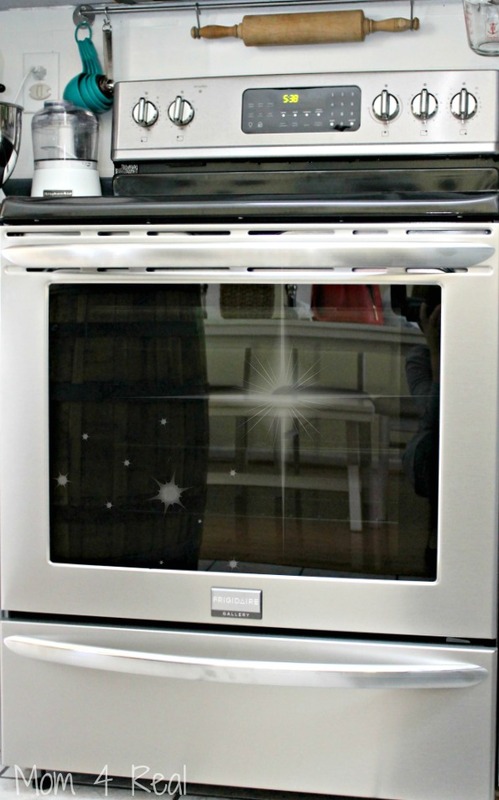 I’ve gotten tons of emails asking me how to clean stainless steel appliances, and until this past month, I couldn’t answer because I didn’t own any. Well, now I do, and I’m actually shocked at how easy it is to keep clean. 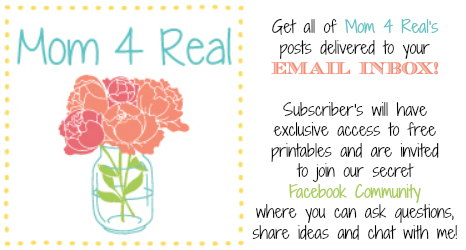 You don’t need anything fancy at all, and no chemicals whatsoever! All you need is some distilled white vinegar and a a microfiber cloth. I just filled a spray bottle up with the vinegar, and added one of my cute little chalkboard labels. So I know exactly what I’m grabbing when I go to clean. 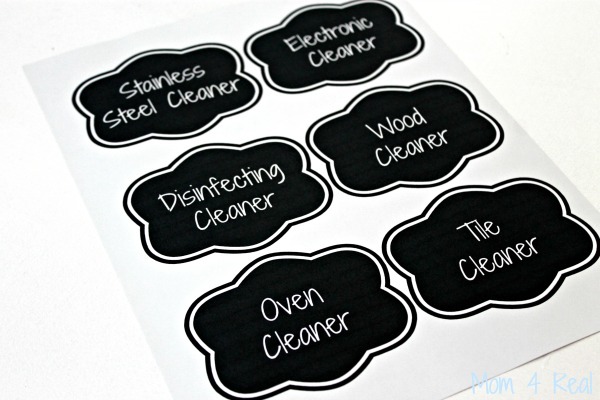 Click —-> HERE to download the Chalkboard Cleaning Labels for yourself…I’ll be sharing even more tomorrow, including ones that you can write on yourself! Okay, now on with the cleaning! 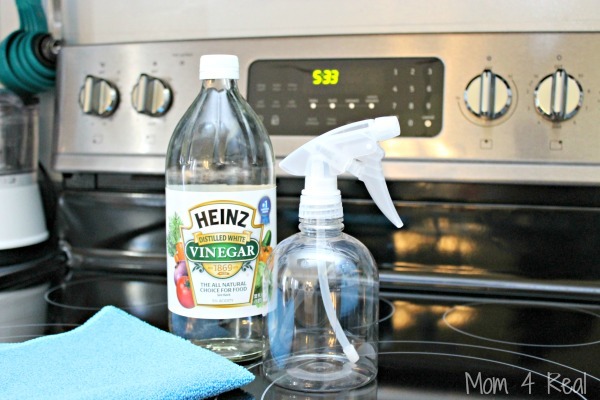 Instead of spraying the vinegar directly onto the stainless steel, spray a little on a microfiber cloth. Then gently rub with the grain of your stainless steel. Here you can see the grain a little, so you would rub from side to side instead of up and down. 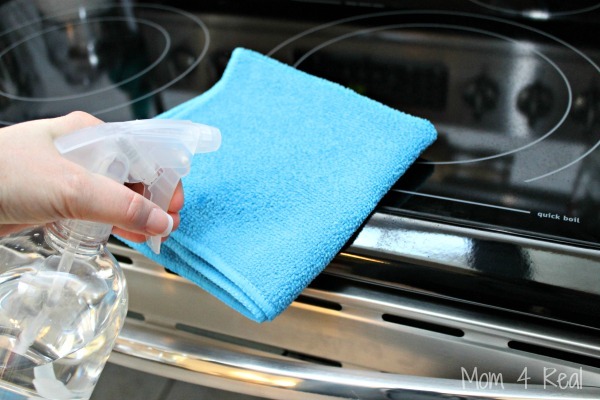 Once it’s dry, you can go back and gently buff with a clean microfiber cloth, but it isn’t really necessary. That’s it folks! 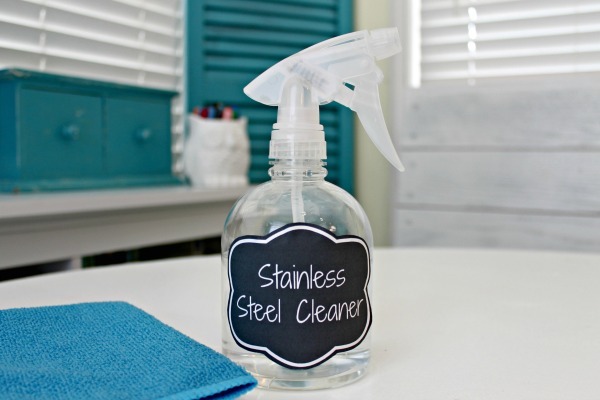 One ingredient, and your stainless steel should be clean and streak free! Whoop! 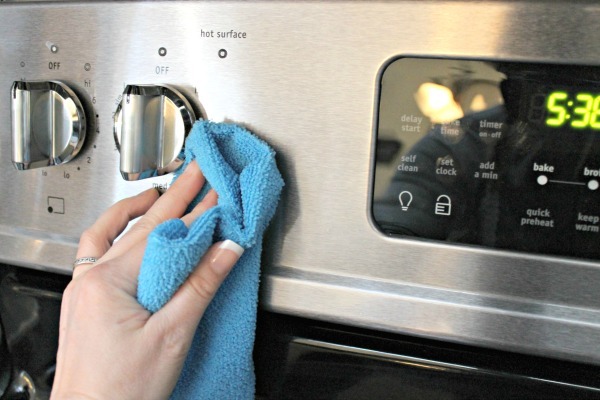 If you are new here and haven’t seen my post on How To Clean In Between The Glass Of Your Oven Door, you may want to check it out too! Plus I have tons of Homemade Cleaning Recipes too! 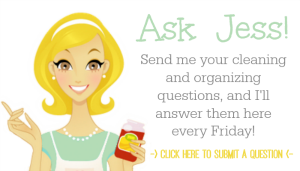 And…if you have any cleaning or organizing questions, be sure to send them to me HERE, and maybe they will be answered during one of my Ask Jess posts on Fridays!